€6.35m in funding to purchase equipment for Youth Groups: Apply Now! 27 Sep €6.35m in funding to purchase equipment for Youth Groups: Apply Now! €6.35m in funding to purchase equipment will made available for community youth groups. More than 1,700 community youth groups are set to benefit from a €6.4m equipment fund launched.Minister Zappone is confirming that the money is being made available to allow clubs buy valuable equipment which will support their work with young people. 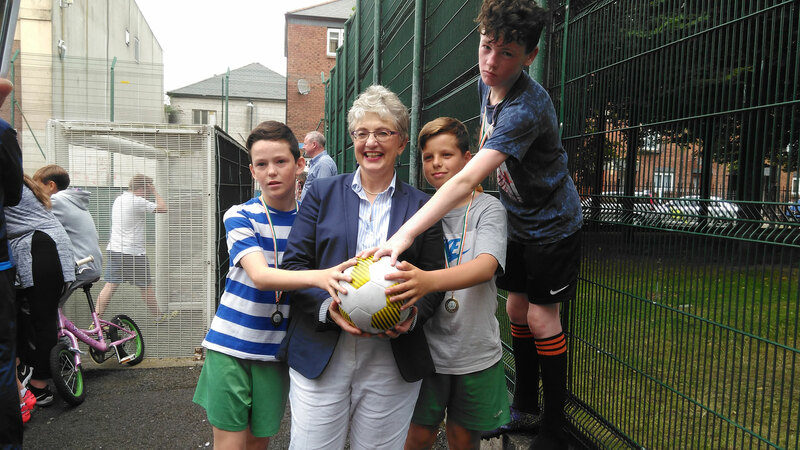 Earlier this year, Minister Zappone approved the launch of an updated and improved Local Youth Club Grant Scheme. The Scheme, which has been running for a number of years, was re-launched in 2017. The Scheme supports youth work activities at a local level. From 2017, the scheme incorporated the National Quality Standards for Volunteer-led Youth Groups. The Minister said “This equipment fund is being launched in recognition of the significant development work undertaken by these local youth groups in 2017. In line with my Department’s National Strategy on Children and Young People’s Participation and Decision Making I have asked that as part of the application process, each group should consult with its young members to ascertain their opinions on what equipment might be needed and how it will directly benefit them.” She said that the impact of this equipment fund will be significant. Over 1,700 volunteer led clubs will be eligible to apply, reaching practically every community in the country. The equipment fund is being advertised and administered by each of the sixteen Education and Training Boards (ETBs). The Minister thanked the ETBs for their assistance in the development of the scheme and in the roll-out of the Local Youth Club Grant Scheme earlier this year.